An unsual donation - givekidsadreams Webseite! Almost everyone has read comics in his childhood. 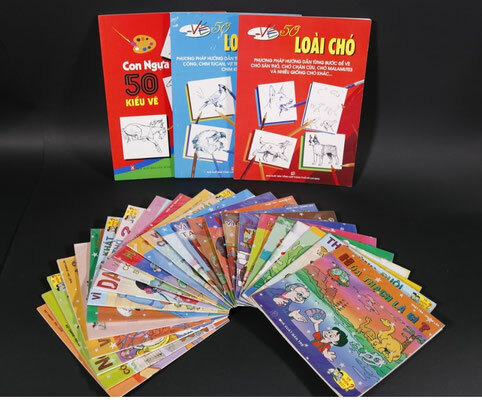 With colorful images and exciting stories, comics not only encourage reading, but the superheroes with great courage and noble character, who protect humanity and fight evil, inspire the children to do good deeds that have a positive effect on their social behavior. Comics, however, are luxury goods for the needy children in Vietnam. 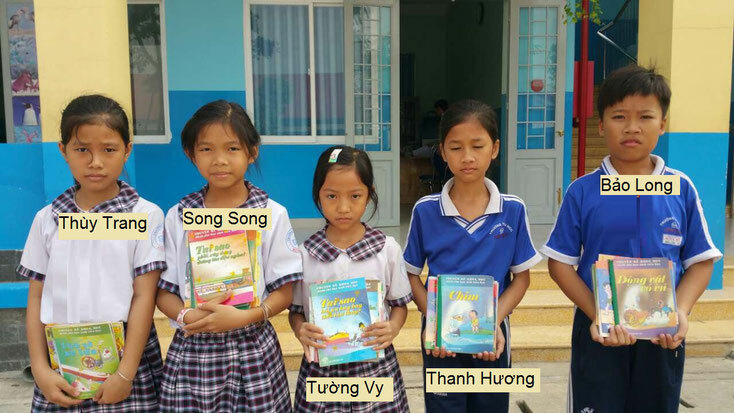 Therefore they are thankful for the book donation of a donor in Saigon. 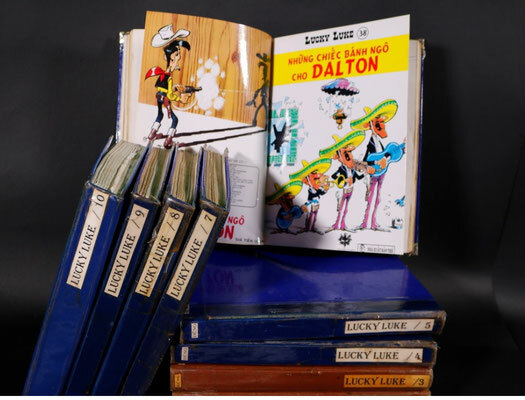 The book collection in vietnamese contains many famous Franco-Belgian comics such as Lucky Luke, Asterix and Obelix, Sprirou and Fantasio etc. Some are rarities because they are no longer printed. 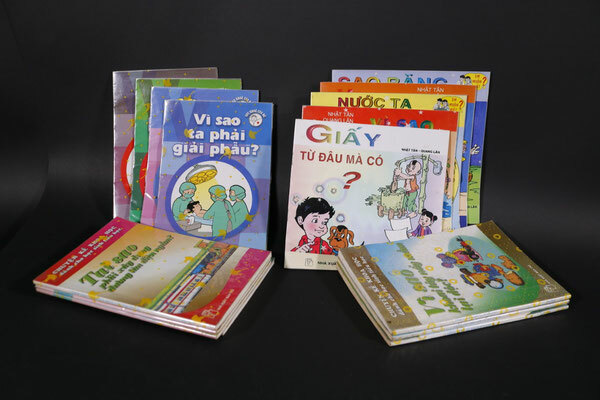 There are also many non-fiction history, exploration, discovery books for children. Getting out of poverty through education!